Thank you for contacting Runway on The Runway we will endeavour to respond to your message as soon as possible. Runway on the Runway is a prom themed fashion show for teenagers. It aims to raise awareness of teenage cancer and fundraising supports Teenage Cancer Trust. We were thrilled to help make Lucy's 16th birthday a special day. Brave Lucy is recovering from a brain tumour with her most recent operation in June this year. Following a very eventful shopping day in Manchester where we found her a gorgeous dress from Quiz, we managed to locate the perfect shoes from ASOS. 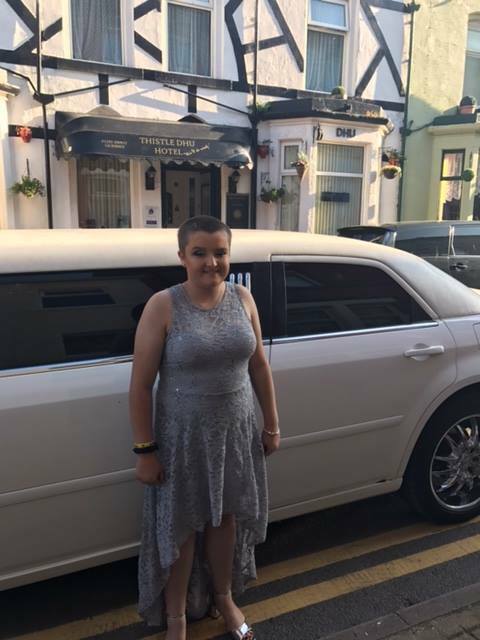 Lucy enjoyed a makeover courtesy of House of Haltres in Blackpool and a very special car to take her to her "Sweet 16" party. Here are some pictures of Lucy looking exceptionally amazing with her family and friends. "My journey started on 26th November 2012, I was 11 years old. During a routine eye test at Specsavers, they found my optic nerve was very swollen, I was immediately transferred to Oldham Hospital where I had a CT scan. I was told I had a brain mass. I was then transferred to Manchester Children's Hospital at 9.45 pm where I had a emergency MRI scan and on the 27th November I had my first operation to reduce brain fluid. The next day, I had 11 hours of brain surgery where they removed 75% of my tumour. Things didn't go as planned as from then on I had many problems with fluid which resulted in 2 shunts being fitted due to hydrocephalus and lots of drains to manage infections. I then had to spend 10 weeks in hospital and had to learn how to walk properly again. I was told in June 2014 that my tumour was growing again so we had to make the choice to go to Oklahoma USA for proton beam therapy. We spent 3 months there and came back home to 3 monthly check-up scans. Unfortunately in November 2016 we found out that I had a cyst what was attached to my tumour and needed chemotherapy to try and shrink it. The cyst filled up to the point where I had to have another 5 hour operation in June 2017 where they drained the cyst and left a port in the back of my head so they can drain if needed, I consequently have had this done since having my port in. I am still having chemotherapy every Tuesday and have another 49 weeks to go. It's been a very long journey. Today we met the lovely Margo, she made me feel very special and we went out for my 16th birthday party outfit. She also bought me a lovely gift and I would like to say thank you so much for making me smile again. My journey has been very difficult as I have 4 siblings and my mum does a fantastic job. Former Runway on the Runway catwalk model Rachel was treated to one of our special Cinderella makeovers last weekend. Rachel, who is in remission from Acute Lymphoblastic Leukemia, was celebrating her 18th birthday. 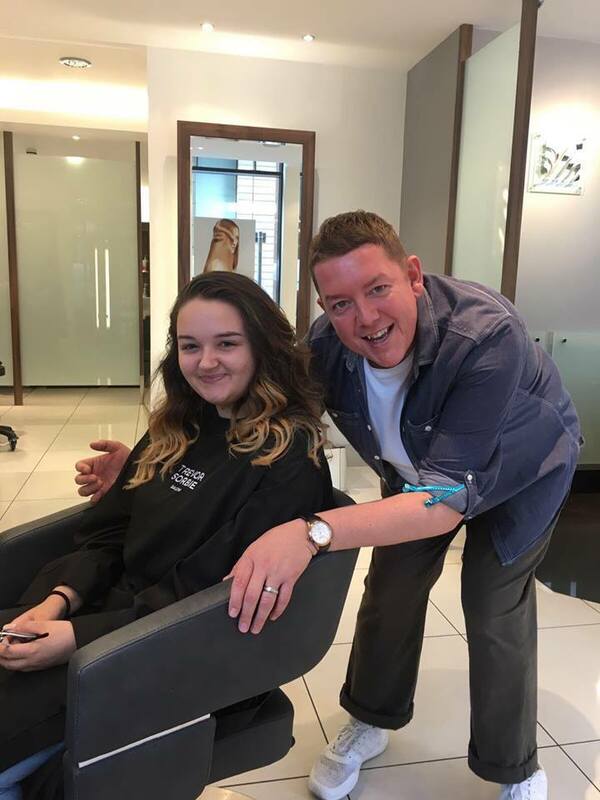 She looked extra-amazing following her hair styling with Paul from Trevor Sorbie Salons in Manchester and her make-up by Stila beauty expert Fran at Harvey Nichols. Rachel loved the dress she wore at the fashion show on 31st March this year, so we took her back to Diamonte in Bramhall to choose a special gown for her big evening and we teamed it up with a beautiful pair of shoes from Kurt Geiger. 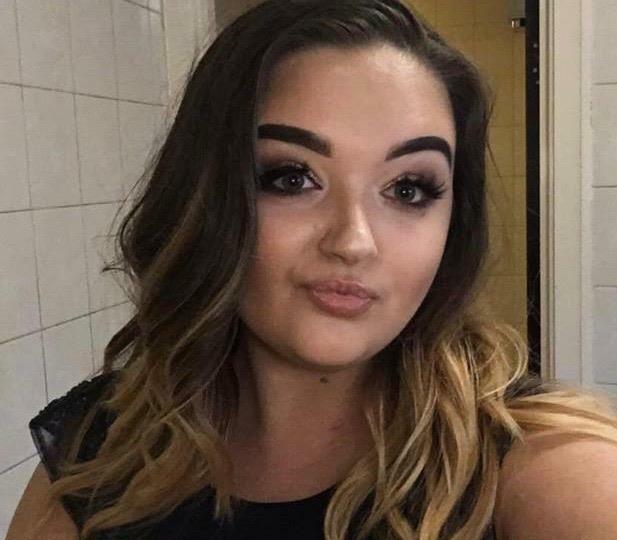 Rachel said " I was so worried that my anxiety would get in the way of me enjoying my party but I haven't felt as confident for such a long time. I had so many compliments! For once, my illness and everything I had been through was put to the back of my mind and I had a such an amazing time. I think that having the opportunity to be on the catwalk also helped me conquer my confidence issues. For once I didn't have a care in the world. I never thought that I would feel this way again. Thank you "
All our pleasure Rachel !